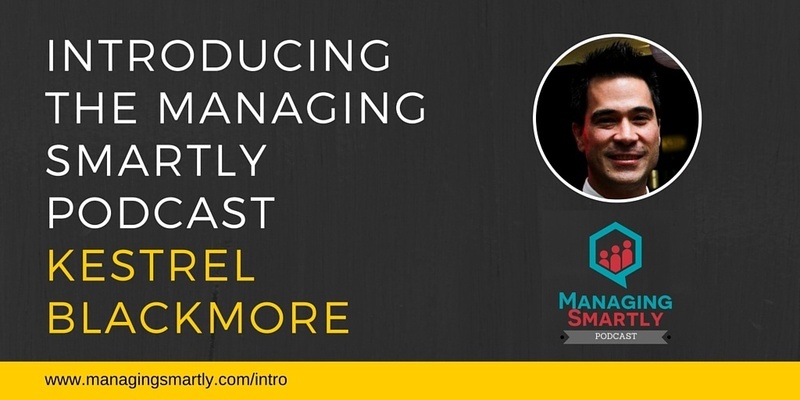 Today I’m excited to be introducing The Managing Smartly Podcast! This is the first show of what I’m hoping will be many more to come. So why am I creating this podcast? There are tons of resources out there for software developers and they are typically focussed around the technical side of software development because sotfware development is very technical. By in large all of this material covers the majority of developers. Now whether they deliberately pursue this or it just happens to get thrust upon them they are going to find management a completely different ball game. The previous technical skills, that have been built up over years, will not be the primary skillset required. Instead soft skills and people skills are needed. Unfortunately no-one is really talking about this stuff from a software development industry context. At least that is what I found when I made the transition. So that’s why I created this podcast. To help software developers become managers. So I really have two types of people in mind. One is the software developer with aspirations of being a team leader or in management. The other is someone has is already a team leader or manager but has no idea what they are doing! If you fit into one of those two categories then welcome aboard! If you’ve been a manager for 10+ years then this podcast probably isn’t for you. I don’t want this podcast to be all boring and theoretical. I believe learning from others is one of the best ways to learn. So I’m going to be interviewing software developers who have already made the leap into management. I’m going to get them on the show, go through the mistakes and successes they’ve had, find out what they’d do differently and what they think makes a great manager. I reackon we’re going to have a lot of fun and learn a bunch of things along the way as well. So who I am and why should you bother listening to me? Well I have over 14 years experience in the software development industry and have extensive business analysis, software development and project delivery experience in the education, retail, finance and public sector industries. I’ve been involved in the design, development and implementation of enterprise grade solutions across Australia, China, Hong Kong, New Zealand and South Africa. For the last three years of my career I’ve been in management. My first introduction to management was like many of us — I was simply thrust into it! Once the number of developers I was managing started to head north of three people I quickly realized that I was ill prepared for what lay ahead. So I educated myself. Over time, I grew as a manager, got further promotions, and I now lead teams of people. So based on my own journey I’m very passionate about helping software developers grow their management skills — ideally without all the roadblocks and setbacks I experienced. So that’s the the why, what, how and who for the podcast but I wanted to leave you with some gold even in the first podcast. Once you become a manager your technical skills are no longer as important. Instead you should be focusing on people and skills. Hey guys if you’ve loved today’s show I’d really appreciate it if you were to head over to iTunes to leave a comment and rating. Doing this is a great way for my show to get recognised by iTunes and hopefully get into the New & Noteworthy section. I’d really appreciate your help with this. Until next time… remember to manage smartly!